TV competitions are a big pull and probably the most popular form of “comping” in the UK as the prizes are huge. The contests & prize draws are a massive part of many UK TV shows, especially ITV and Channel 5. So here at TV Competition UK we bring you the best television competitions together in one handy playce as they offer the biggest & best prizes with the easiest methods of entry and odds of winning much higher than the lottery. This is just a selection of our recently added competitions – you can view all the TV competitions here – listed in order of “recently added at the top”. If you miss a show or cannot find out where / how to enter just check back to our site where you’ll find all the information you need! Why Do TV Shows Have Competitions? 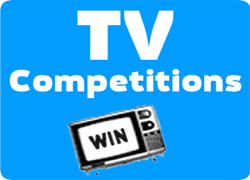 Primarily TV competitions engage the viewer with the show, they encourage the viewer to partake in an action (phoning, texting or going online) and therefore that viewer becomes more connected with the TV show or series. Viewer contests draw the viewer in and remind them that they are involved in the show & the show care about them. TV competitions can also provide some interesting content through out the show and can even be a source of revenue. Do TV Competitions Make Money? 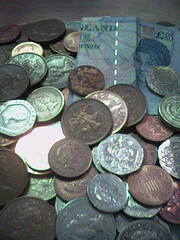 There are also competitions which do make money, or most likely make money. High fees for phone calls and texts are the traditional route, however don’t think for one minute the entire fee goes to the television company; nope there are many charges involved in operating these telephone lines by companies such as Callagenix. Free entry online is often subsidised by advertising, data and “CPA” style offers…the more people they can get on these offers, the more money they make. So the answer is; yes & no! What Sort Of Prizes Do TV Competitions Offer? Anything & everything is the answer to that! The big ones, announced durning the TV shows can range from a few thousand pounds to half a million punds, often a mixture of cash and other prizes. eg an all-inclusive luxury holiday & £30,000 tax-free cash was a recent ITV competition (ITV generally offer the biggest & best prizes) however Channel 5 also offer lots of great prizes. If a non-cash prize is offered this is often sponsored by the prize itself eg Volkswagon will donate a vehicle in return for the massive amounts of publicity it receives for being featured on the TV show time & time again. It’s a “win win win” scenario for all involved; the TV show, the sponsor & YOU all come out on top. What Are The Best TV Competitions? Any competition on itv generally has a massive prize, next up is Channel 5 (Gadget Geeks & The Gadget Show especially) and finally we have channels that are more random in their contests such as Sky, Channel 4 and BBC. The Gadget Show competition – one for the geeks; over £50,000 of gadgets with Channel 5! The above TV competitions are pretty regular, others include Secret Dealers, Lets Do Lunch, X Factor competition, Britains Got Talent, Take Me Out, The Cube, Who Wants To Be A Millionaire, Tipping Point and many more. Keep your eyes peeled!